Tweet I’ve listened to more music in 2010 than ever. I’ve heard some really good music too. I’ve liked a lot of what I’ve heard. I’m constantly being sent new music to review so a lot of times I only get to listen to an album once or twice and even if I like it, I have to move on to the next. Listening to music is a lot more work than I thought it’d be, however, when I go on a long road trip I still like to listen to music for pleasure. 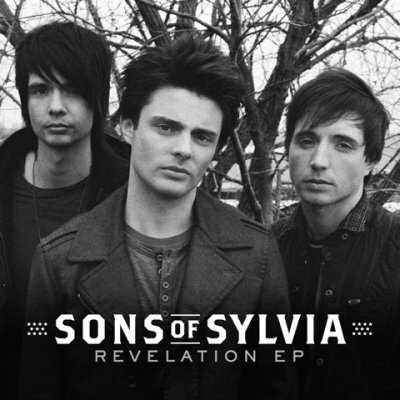 I found myself popping in Sons of Sylvia’s album “Revelation.” As soon as front man Ashley Clark goes into the second chorus of “John Wayne” I’m hooked for the rest of the album. The crazy thing is I’m more of a metal head. Korn and Rob Zombie have new albums out this year, but there is something about Sons of Sylvia that I really like. I recently chatted with Ashley Clark and Adam Clark of Sons of Sylvia. 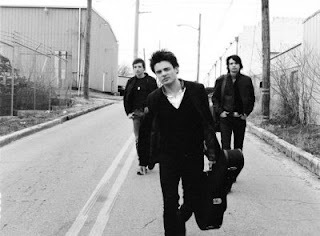 Q - You guys won the “American Idol” inspired reality show music competition “Next Great American Band” under the name The Clarke Brothers. How did you become involved in the show? Ashley - We were sitting at home one night watching “American Idol” when an ad came on for “The Next Great American Band.” Ryan Seacrest was talking and he said, “If you are in a band and you think you’ve got what it takes to make it, send in a DVD or video.” We got a video camera, recorded a couple songs in Austin’s basement, and got our audition tape sent out on the last day of eligibility. A few weeks later we got a call to play for the judges out in Las Vegas. Q – What was it like? Ashley - Being on the show was intense and humbling. Although we’d played together our whole lives, this was the first time the three of us were actually playing as a band. When we won the show it was surreal. It felt like slow motion. Months of hoping, praying, practicing came gushing out – I just fell down on the stage. Q – Why did you change your name? Ashley - After the show we started writing for the album. Our sound changed as we discovered who we were, musically. As our sound changed we thought it made sense to change our band name to give us a fresh start, a sort of rebirth. Austin thought it would be nice to include our mom’s name in the title. She had 11 kids so we thought it would be a cool monument to her. Q - I've always been one of those stubborn rock fans who says I can't stand country music (truthfully, I just never really gave it a chance). When I was given your CD to review, nobody told me you were a band that came from country roots. I thought I was listening to the next U2 (by that I mean a band that you really can't put a label on, a band whose music is accessible for every fan of music). If you had to describe your sound, how would you describe it? Adam - The word that comes to my mind is universal. Musically, our roots are in bluegrass and country, and that’s typically what people assume we play when they see our instruments, but when they hear Ashley’s vocals, Austin’s flying “V” melobar, and the other effects in our songs, there really isn’t one style that can be pinpointed. Ashley - We’re a little bit country, a little bit rock ‘n roll. Q - Your debut album "Revelations" is very versatile. Each song has its own identity which you don't really see so much anymore in music. Was that a conscious effort? What is the band’s writing process? Is there a designated song writer or do you write as a group? Ashley - Everything happened pretty organically in making this record. There were times when we thought, “Will this work?” Then we’d sit down and listen to the record all the way through and it worked. Our writing process is different every time. Sometimes we write together as a band, sometimes alone, sometimes with other songwriters. It all depends on how we’re inspired. Q – “Love Left to Lose” is your first single. You wrote that song with your cousin Ryan Tedder, who just happens to be the front man for OneRepublic. How did that come about and what was that like? Ashley - Ryan and I used to live together in a crappy apartment in Nashville. We spent a lot of time together dreaming about music. I remember when he told me he was going to move out to Los Angeles and start a band. I am so proud of him going for it and making it happen. I went out to Colorado to write with him for this record. “Love Left to Lose” was written really quickly; it just flowed out really naturally. We spent the rest of the trip talking about old times. Q - This question is probably like asking Bryan Adams how old he was in the “Summer of ‘69,” but were you really “born the day John Lennon died?” I love the lyric by the way, where did that come from? Ashley - Yes, I was born December 8, 1980, the exact day John Lennon died. It’s a very bittersweet day for me. Q - What is your favorite song on the album (and why) and what is your favorite song to play live (and why)? Ashley - My favorite song on the album is probably “Revelation” because it’s autobiographical. “50 Ways” is my favorite song to play live because it’s raw and rockin’. I really have a good time singing it. Q - "American Idol" alum Carrie Underwood really took you guys under her wing. You've played with her and currently you’re on tour with her. How did that come about and what is she like? Ashley - Carrie is amazing, both as an artist and a person. I played in her band for a couple years as her fiddle player and back-up vocalist. She has been so supportive of us, we feel blessed to be able to call her a friend. Adam - Merle Haggard, Aerosmith. Q - Who are some of your favorite artists today? Ashley - U2, Kings of Leon, Miranda Lambert, to name a few. Q - Thanks for taking the time to answer these question. Is there anything else you'd like to add? Ashley - Just thank you! God bless. I really hope to catch Sons of Sylvia in concert with Carrie Underwood. They really are such an original sounding musical band. They’re one of those few bands that I can feel good about showing anybody. There’s nothing worse than showing somebody a band you really dig and that person hates it. I haven’t had that problem with Sons of Sylvia.